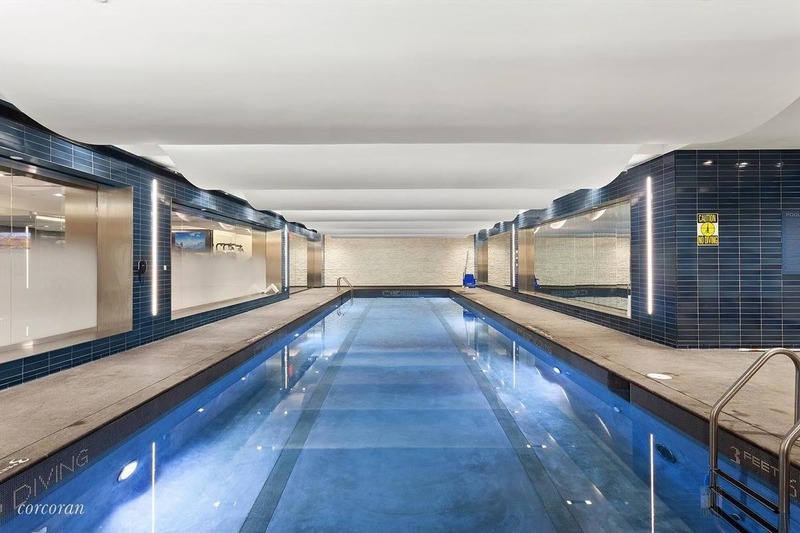 The indoor pool at 15 Hudson Yards. 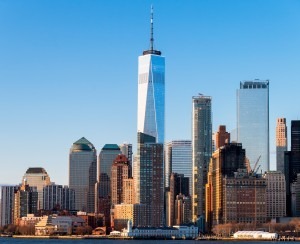 The upper end of the New York City real estate market may be softening some, but for most of us (billionaire Ken Griffin excluded, of course) even a steep discount off an apartment selling for several million dollars isn’t much of a help. Buying in a luxury new development like Griffin’s soon-to-be-home of 220 Central Park South or 432 Park Avenue, where available apartments start at about $14 million, may be a pipe dream. But living the deluxe lifestyle in a high-end building with top tier amenities might not be. If that's your goal, here's one strategy: Buy small and live large. In other words, seek out the lowest-priced apartment in a luxury building, but enjoy the same amenities, facilities, and services as the folks in the penthouse upstairs. Below, some suggestions on where you could live the good life for a (little) less—and certainly less than your fellow, comparatively deep-pocketed residents. Part of the Lower East Side’s Essex Crossing development, amenities at 242 Broome include a large resident’s lounge with private dining space and full catering kitchen, a children’s room, a spacious Technogym Fitness Center, and a rooftop terrace complete with grills and lounge seating for entertainment. 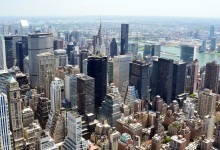 Top tier: Penthouse B, a 2,478-square-foot, three-bedroom, one-and-a-half bath is listed for $7,350,000. Buy small, live large: The 765-square-foot apartment 11D is asking $1,595,000. This Hudson Square (west Soho) building offers all residents access to a heated saltwater lap pool, sauna, fitness center, half basketball court, garden courtyard, children’s play room, and resident’s lounge with catering kitchen. Top tier: A 3,193-square-foot four-bedroom, four-and-a-half bath is listed for $8,495,000. 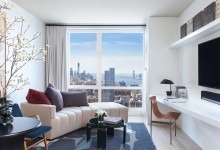 Buy small, live large: Unit 2D, an 800-square-foot one-bedroom, one bath, is on the market for $1,399,000 with a recent price cut. 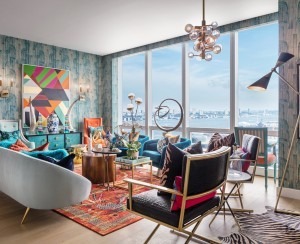 The first Hudson Yards building to open, 15 Hudson Yards offers an extensive suite of amenities, all on the 50 and 51st floors, ensuring every resident enjoys incredible views. 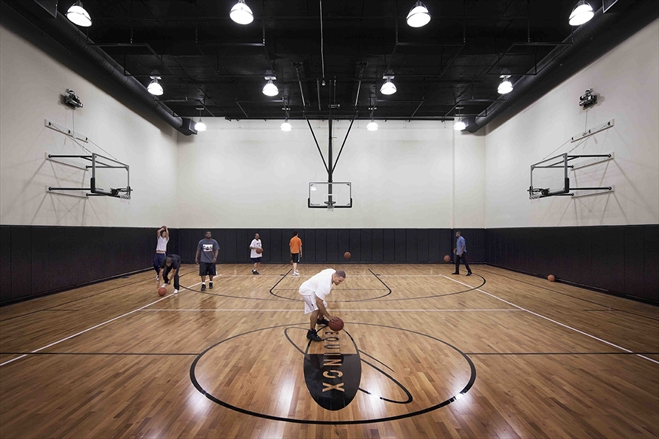 Facilities include a high-end fitness center by The Wright Fit, spa and wellness center, lap pool, screening room, kid’s play room, lounge with billiards, wine tasting room, pet spa, and much more. Top tier: The 5,211-square-foot four-bedroom, six-and-a-half bath penthouse 88B is listed for $32 million. Buy small, live large: Two-bedroom, two-and-a-half bath apartment 39D (1,555 square feet) is a relative steal at $3,950,000. 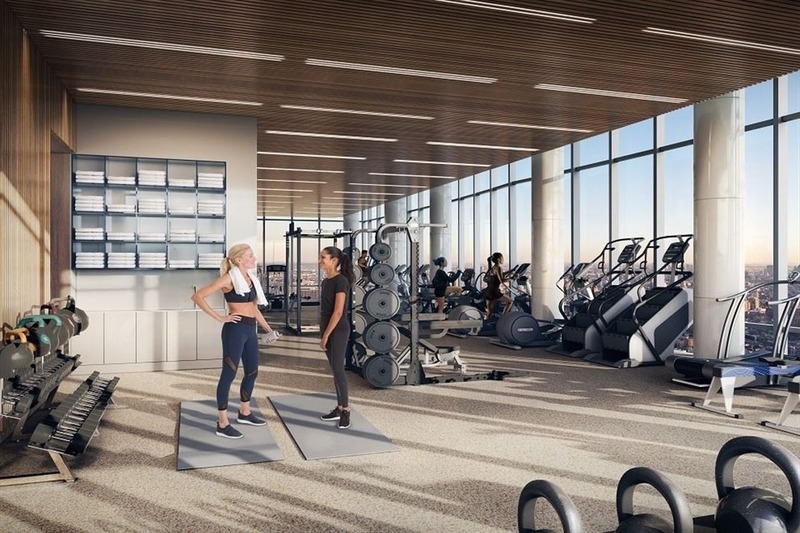 This Midtown West building offers 44,000 square feet of amenities, including New York’s first ever in-building dog spa, private resident-only Equinox, a regulation-size basketball court, indoor swimming pool, golf simulator, outdoor cinema, grills and lounges. 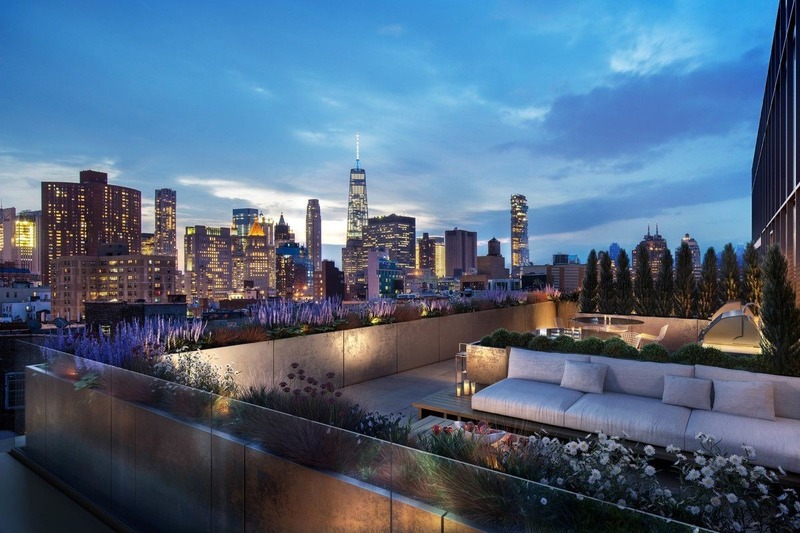 Top tier: The four-bedroom, three-bath 2,135 square-feet penthouse will run you $5,915,000. 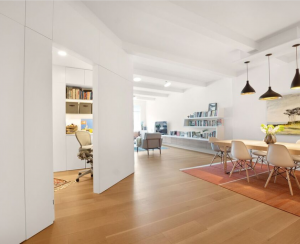 Buy small, live large: A studio in the building (featured here), measuring 568 square feet is listed for $1,595,000.